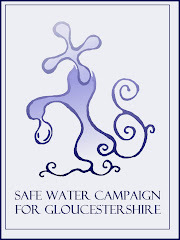 I would like to ask for your support for Petition 210 of 2007 against fluorosilicates being added to most Irish and some English drinking water (mainly affecting 6 million residents of the East & West Midlands & N. East England). There remains plans to extend the practice of fluoridation across parts of England - this is despite Scotland, Wales, N. Ireland & the Isle of Man all having rejected it. I am appealing for your personal support at the Petitions Committee as a UK MEP (11.am Tuesday 28th Feb in the Altiero Spinelli building of the European Parliament in room A3G3) to help persuade the EU Commission to act on its own risk assessment by implementing the measures needed to protect children from this crude and damaging treatment in Ireland and the UK.